Every mid-summer session of the Horticulture Practicum ends with harvesting. 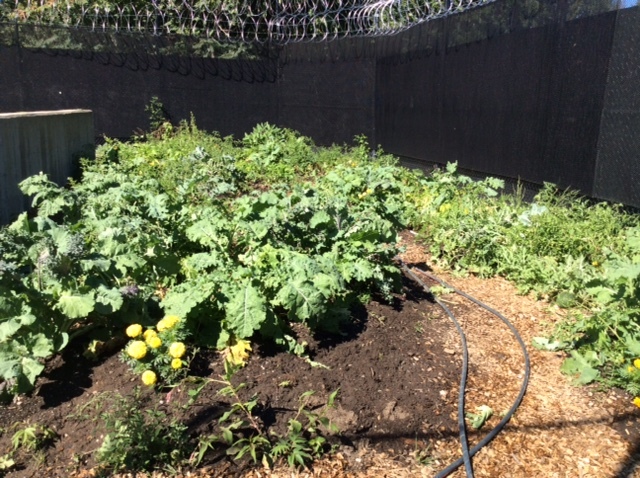 Prison gardens don't have knives, so we pinch and pluck produce, collecting our bounty in 5-gallon buckets and re-used greenhouse trays in the shade. Each student collects their radishes, turnips, herbs, lettuce and strawberries before lining up at the door for 'movement' and returning to 'the unit'. Its a sweet reward.